Ha Ji Won is arguably the most versatile actress to have ever come out of South Korea. Although other actresses may claim bigger box office returns in their movies or pioneering Hallyu wave, no one comes close to the prolific portfolio that Ha Ji Won has in terms of movie and TV roles. She is one of the few, if not the only, actress that managed to play different kinds of roles, from a cunning opportunist woman in What Happens in Bali to a stratetic queen in Empress Ki to a sweet woman prepared to challenge the tradition of Catholic church in Love so Divine to an undertaker watching the love of his life die slowly in Closer to Heaven. Ha Ji Won also has the intelligence to portray otherwise stereotype characters with a unique twist that gives the character a unique persona. Undoubtedly, she has nothing left to prove. She can easily rest in her laurels and watch many younger actresses try to match her track record. However, as a fan, there are several more roles I wish I could see her play. I believe that these roles will not just further cement her already established place in Korean Entertainment Industry but will also help her snag a chance in the international scene. The breakthrough role that helped Charize Theron move from another pretty face in Hollywood to a legitimate actress is the movie Monster. Theron played the role of Aileen Wuornos, one of the most famous female serial killers in history. It would be interesting to see Ha Ji Won play a role of a Psychopath. It need not be a serial killer (although it would be interesting if she plays one), it could also be a Schizophrenic, empathetic medical doctor or a mentally disturbed character trapped in her own world a la Psycho. Ha Ji Won is one of the very few actresses in the world that can act through her eyes. She has natural soft features and a really sweet smile. Ha Ji Won has a great singing voice and she can dance pretty well too. It would be interesting to see her in a musical version of a popular Korean (or non Korean) for that matter fairy tale playing the role of a villain with a twist a la Maleficent or Meryl Streep in Into The Woods. I want to see her face changed changed and carry on a sympathetic villain. Yes, I envision it to be funny and a little playful but undoubtedly a display if Ha Ji Won's actin prowess. Acting is hard enough, imagine having to sing, dance and act to tell a story. We have seen her play a piano prodigy rediscovering love in Babo, an undertaker in Closer to Heaven and a stunt woman in Secret Garden but we have never seen her play an intellectual genius. Whether it's something like Russell Crow in Beautiful Mind or Hugh Jackman in Swordfish or Jesse Eisenberg in Facebook, it would be interesting to see her put a spin on a character that has a lot of intellectual struggle. Ha Ji Won signed a contract with UTA. She has been open about her efforts to study English and constant auditions for different Hollywood movies. She is not alone in this endeavor. Many other Korean and Asian actresses are out to try and have a solid Hollywood career. It would be interesting to let Ha Ji Won play a role that has similarities to her actual situation, the craziness, fun, difficulties and absurdity of a successful Asian actress trying to have a Hollywood career. Those in America knows that Hollywood is not a world easy to penetrate. It is unforgiving, ruthless and downright mean but the world knows that Asians are a different breed. Out history and experiences have molded is to become tough people to crack. We are positive, happy and fabulous survivors. There is no one better to play that than Ha Ji Won. How about Ha Ji Won playing a woman whose days on Earth are numbered. It could be a woman who has an incurable disease or about to be executed either via Death Row or assassination. It can be a light take on someone facing death like Weed (about a woman who found out she has cancer) or total rebellion towards death like (Breaking Bad) or heavy drama like Dead Man Walking. I would mind seeing her a convicted criminal facing her final days before execution, to be honest. The way she will portray remorse (or lack of it) will be interesting. Korea made history when they elected their first dale president back in 2013. Park Geun-hye's presidency has been far from perfect but it is better than most. If her life is to ever become a movie, Ha Ji Won would be a natural fit. What many does not know is that the President of Korea, the first woman to become the state leader in South Korea, lived a very colorful life to say the least. Her parents were assassinated and several attempts to her life has been made. Although she lived a comfortable life financially, even affording to study in abroad, other things in her life has been much harder, from her isolation in America to the assassination of her parents. It would be interesting to see how Ha Ji Won will interpret her life leading to her presidency, from a youth filled with innocence to a confusing teen years to a challenging adulthood. 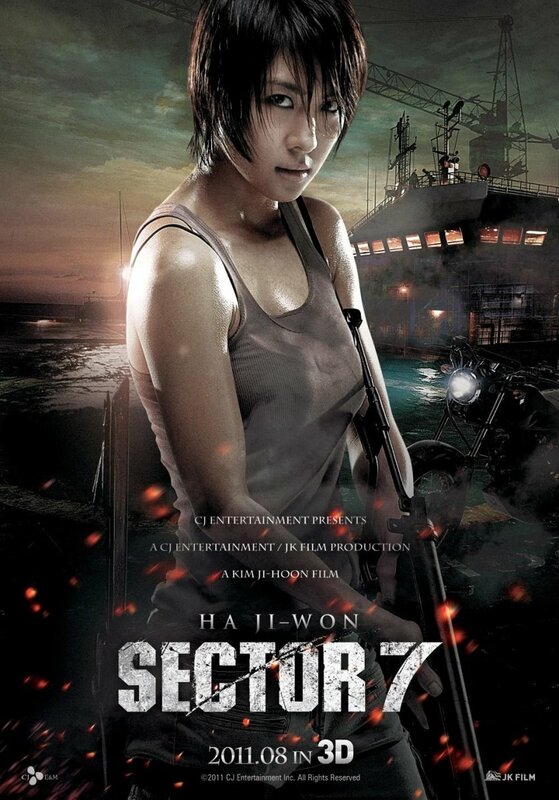 Ha Ji Won has done a lot of action films but this one shouldn't be just all about the actions scenes but the substance of the condition of women in the military. This is a touch topic as South Korea remains a patriarchal country. Women are respected but not regarded with the same privileges as men. There are still very few women in the military and stories of abuse are out there even though nothing is confirmed. Ha Ji Won is the perfect person to play the role as she is known for being both independent and feminine. Everyone knows that Ha Ji Won looks way younger than her age and a lot of young men expressed their attraction towards Ha Ji Won. Everyone also knows just how courageous she is in taking on roles that other actresses dare not try because they are scared their image will get damaged. Ha Ji Won is not like that. She is not afraid to take on unconventional roles and there is no doubt she will give this role and story a new interpretation. She will make us all rethink age, She will make us rethink social convention. She will make us think pain. She will make us rethink all other things we though is more important than love. It's hard to imagine playing the bad girl especially because the world knows Ha Ji Won is a really nice person and that is why it will really challenge her acting skills. It would be interesting to see how Ha Ji Won will play the bad girl. I would want her to go against an ensemble of male leads and see all of them get beaten by one cunning woman who wants to take over the world. Again, Ha Ji Won is the kind of actress that is not scared to take on unconventional roles. Playing a bad girl wouldn't be a problem to her. She is so good that I am actually anticipating that we will find her sympathetic in the end and we will end up cheering for her. We've know Ha Ji Won likes kids and we have seen her play a mother role. However, it would be interesting to see her get it up a notch playing a mother with a disturbed son. Have you ever wondered how mothers of terrorists, criminals, suicidal people or deeply mentally challenged people feel? Can you fathom the feeling of guilt or inadequacy that they feel? Can you possibly bear the internal struggle and sweetness. Ha Ji Won will shine in this role.